Farming Foible, or an Agrarian Adventure? : The USDA wants to buy...submachine guns?!?!? 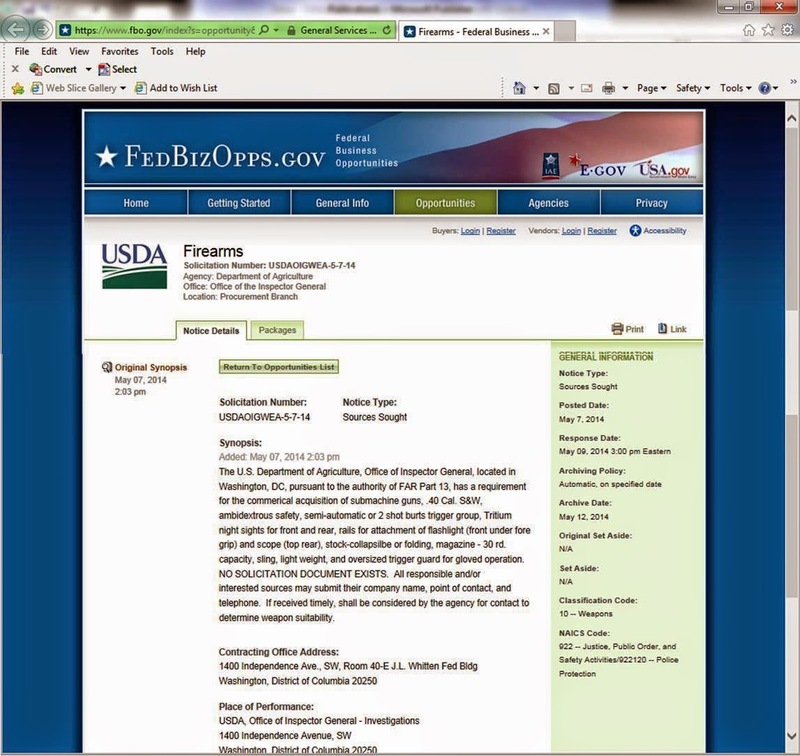 From the WTF files...it came to my attention today that the USDA (department of Agriculture) has put out a request for quote on...firearms?!?! What in the heck? 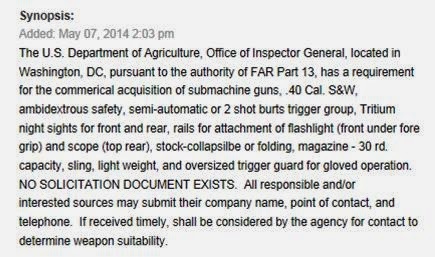 Why does the USDA need submachine guns? I mean, yes, rootworm is bad this year, but submachine guns? Seriously? Who wants to guess that these are NOT for a war on GMOs?